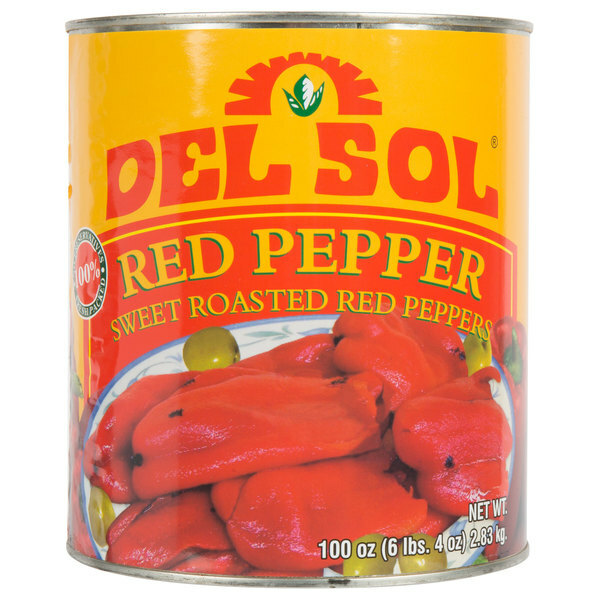 The deep, smoky accents and vibrant red color of these Del Sol sweet roasted red peppers are sure to spice up the flavor profile of a wide array of your signature dishes! 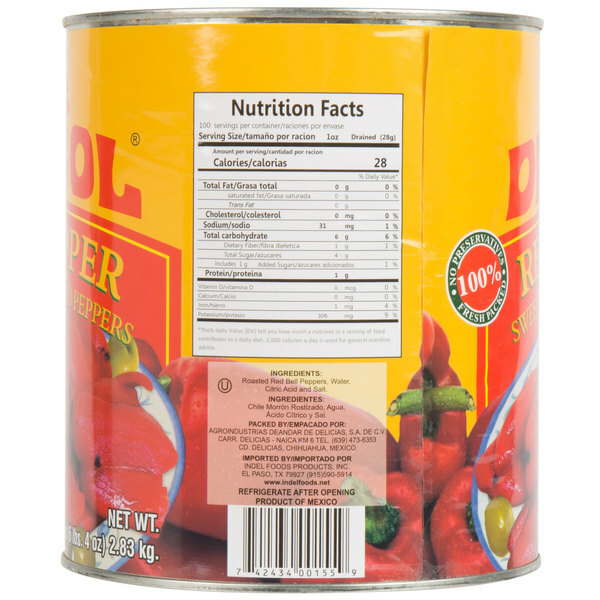 These peppers are carefully picked and packed with water in a generously-sized #10 can to ensure maximum quality and freshness. 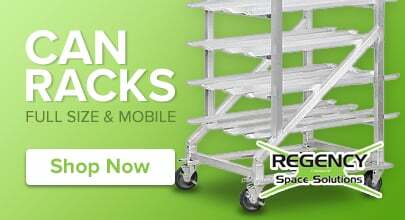 Plus, because they are ready-to-serve, you can save valuable kitchen prep time and provide quick, efficient service to your guests! Treat your guests to delicious and creamy roasted red pepper hummus served with pita bread, or add the robust flavor to an array of Mexican or Southwestern-style favorites like enchiladas, burritos, and taco salads. 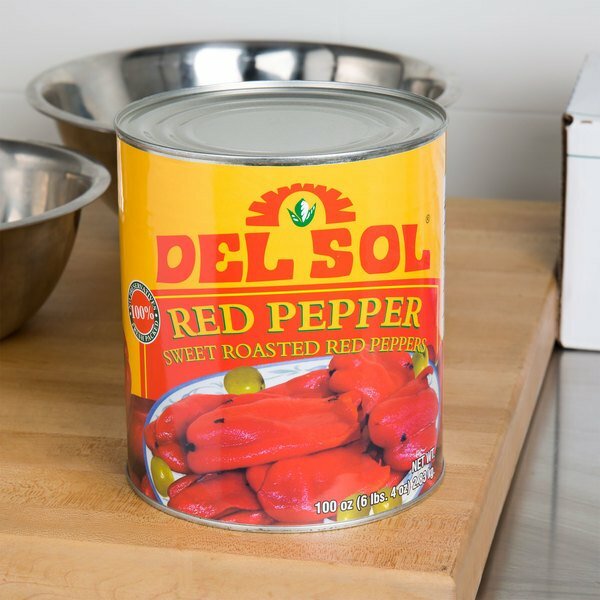 Serve these peppers whole, or they can also be chopped, diced, or mixed with other flavorful ingredients to create mouthwatering glazes, guacamoles, and salsas. 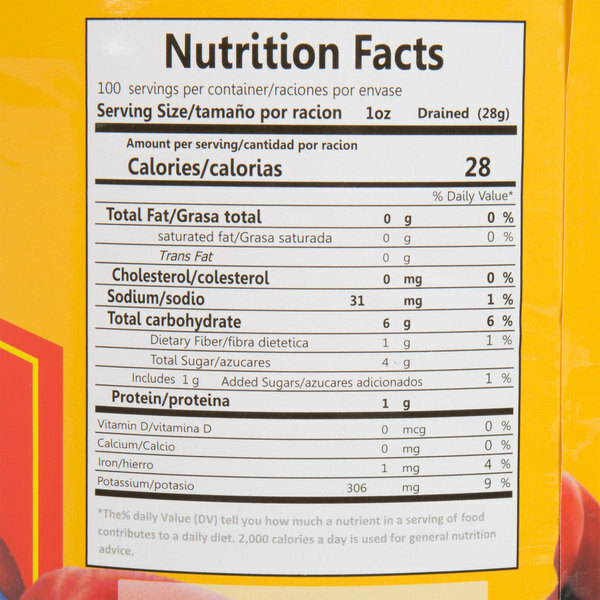 These also are perfect for enhancing the spice of classic beef stews, or garnish salads, meats, and vegetarian dishes. 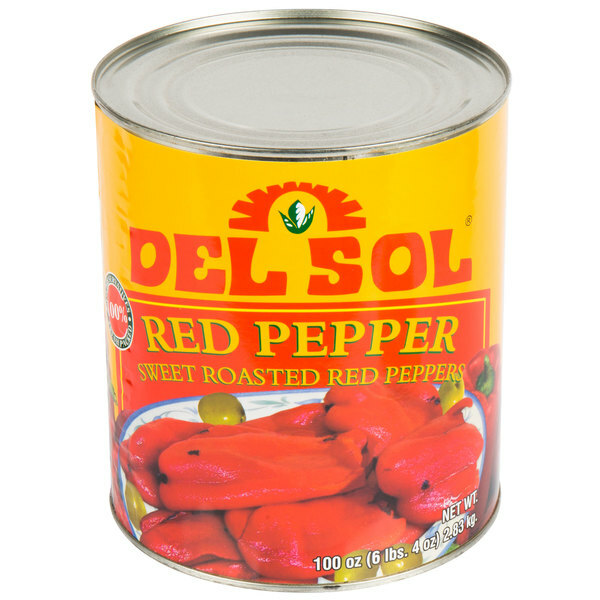 Whichever way they're served, these whole sweet roasted red peppers are sure to satisfy!